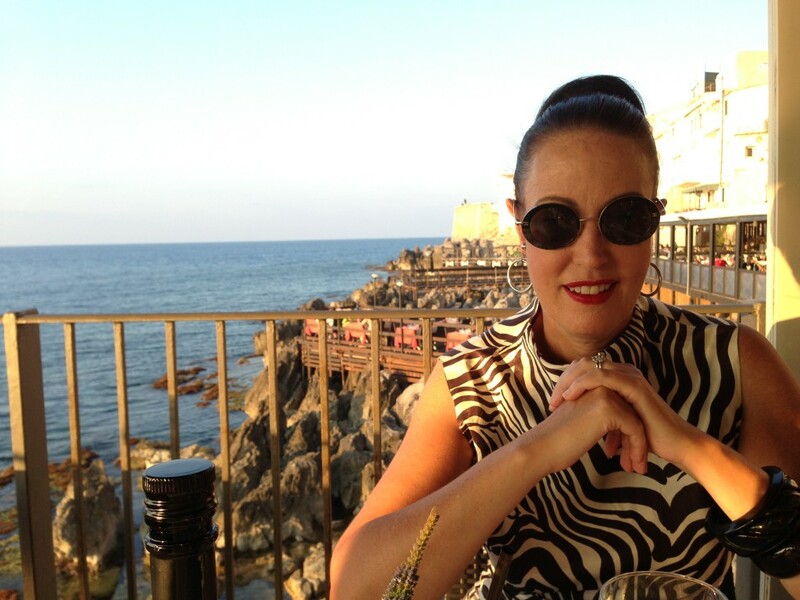 I can’t talk about Sicily and not talk about food! It’s divine and although it is possible have a bad meal there, it’s very, very easy to have a good one. 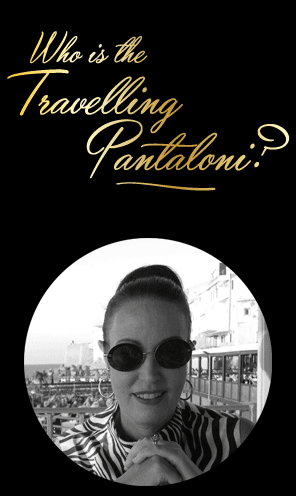 The sweets are particularly delicious – I love biscotti made from pistachios or almonds and of course the best gelato in the world can be found here! Hand made pasta abounds, great seafood is everywhere and you can easily find things like rabbit, horse, donkey and wild boar on the menu. I recommend packing elastic pants or tent-style dresses. Day after day we promise ourselves we won’t eat so much tomorrow, but we never listen to ourselves, and leave the table groaning once again. Everything is so delicious we just want to try it … just a little bite! 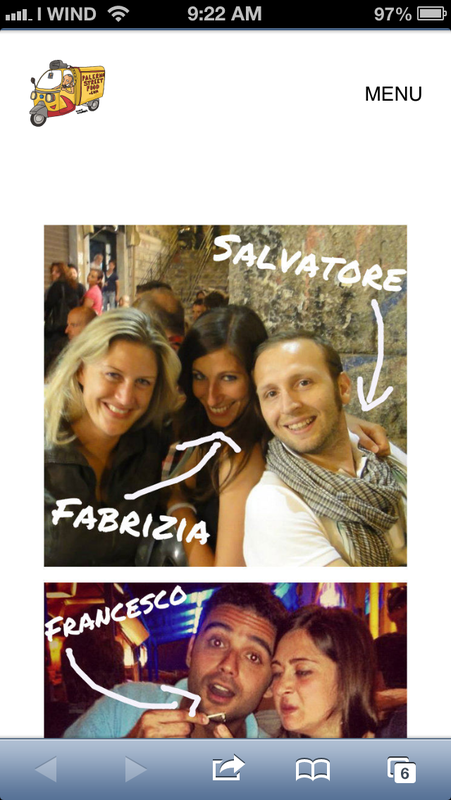 Italians tend to have long and involved conversations with waiters about the menu, so don’t be afraid to do the same. Ask where ingredients are from and how things are cooked if you want to know. Eating is serious business and you don’t want to waste a meal opportunity by ordering the wrong thing! Here are a few of my top picks for eating in Sicily. Many of these places don’t have websites but you don’t really need to book unless I’ve mentioned it. Where’s there’s no website I’ve listed the address and / or phone number. I’m not sure why but the story of St George and the Dragon is found everywhere around here. I always thought of it as an English fable, but apparently not. 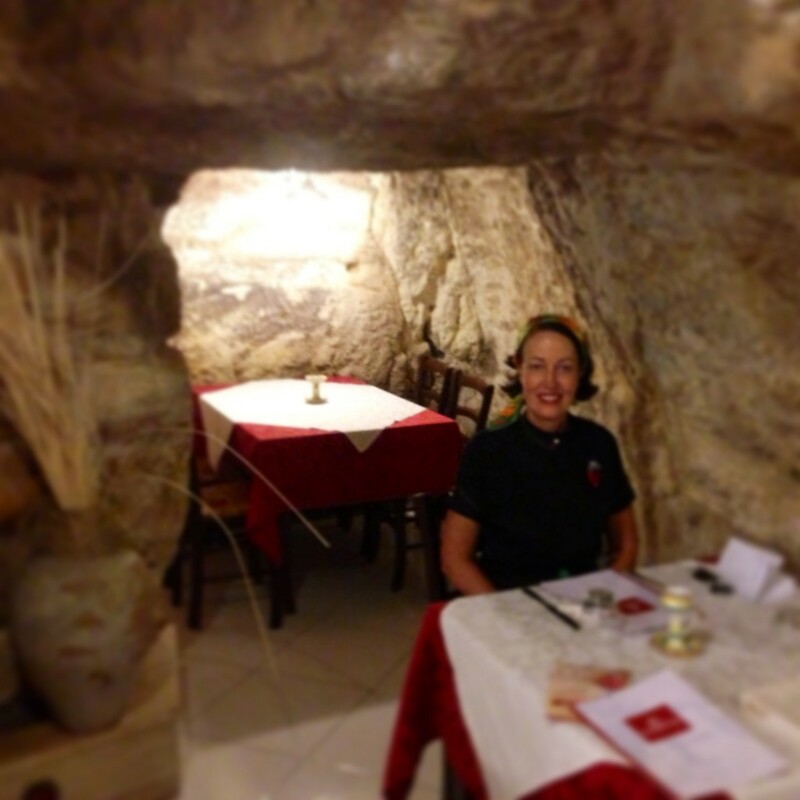 This is quite a famous restaurant in the area, and although it doesn’t look like much from the outside, it’s housed in an old monastery so inside it’s atmospheric and cool, plus the food is fab. We had tomato bruschetta with those wonderful Sicilian tomoatoes that actually taste of something, then I had orecchiette with zucchini flowers which was chewy (the pasta), fresh (the zucchini) and amazingly delicious all round. Georgio’s choice was equally delicious – hand made macaroni with a spicy tomato and olive sauce. Then I had a lovely tender rabbit with a tomato, caperberry and olive sauce, while Georgio had a mixed grill so enormous (home-made sausage, pork and steak) it could have fed a family of four. Excellent value at 41.50 Euro. This place is quite well known and we came here on a day-trip from Cefalu which is a very scenic drive. The town is pretty and worth a wander around, as is the castle at the top. We both had the 32 Euro menu, and although it was way too much food we really loved it. First up a plate of local meats and cheeses – black Nebrodi pig done three ways – as salami, coppa and proscuitto; lamb proscuitto; goats cheeses both soft and hard; and a goat yogurt. Then house made caponata and a bread/ricotta ‘thing’ (I’m relying on my journal from a year ago and can’t remember what this actually was), followed by home-made fusilli with zucchini flowers, aubergine, and salted ricotta. Next up, black Nebrodi pork slices with a sauce that included woody mushrooms, and lastly a milky cinnamon pannacotta-style dessert with coloured sprinkles on top, a dessert typical of the area. We were so full we could hardly walk, but it was all so, so delicious. 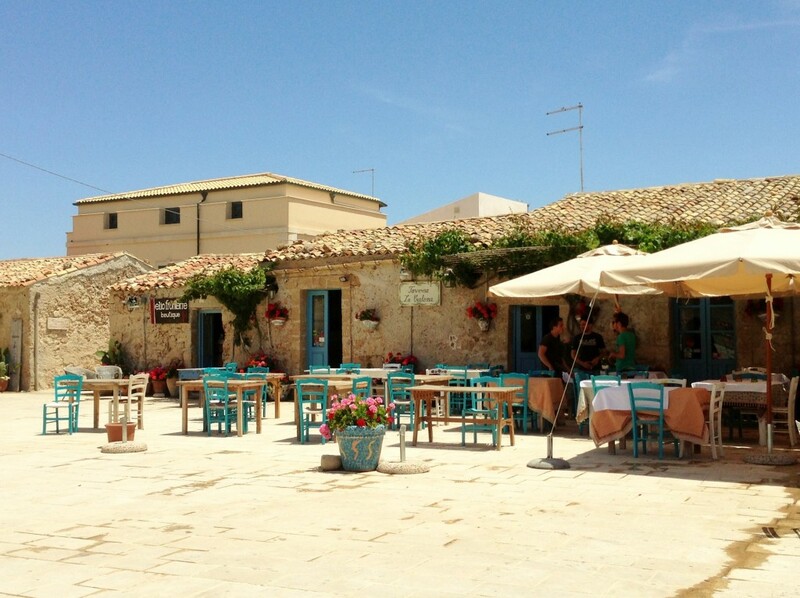 Marzamemi is a beautiful little town, and although there’s not much to see here, it’s a nice place to walk around before or after your meal at Cortile Arabo. 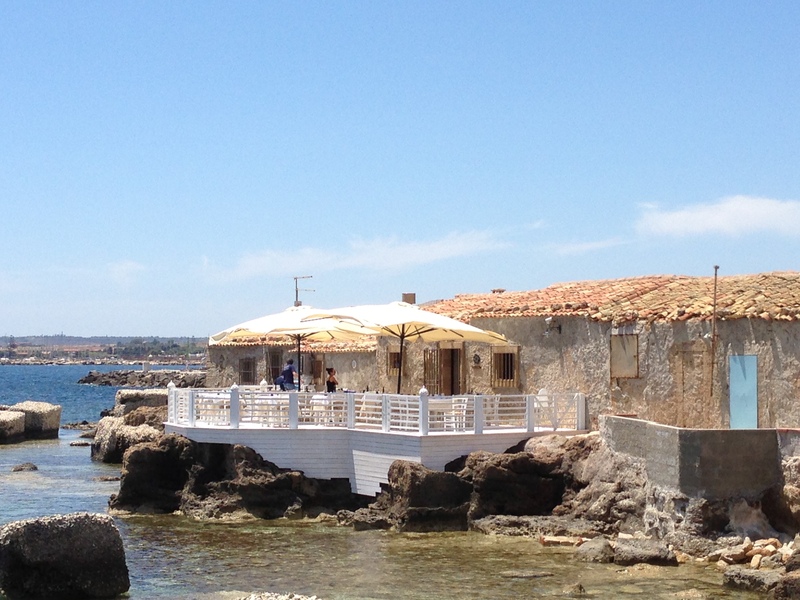 Make sure you get a table on their sea terrace where you sit right on top of lapping waves – a lovely soundtrack for lunch. 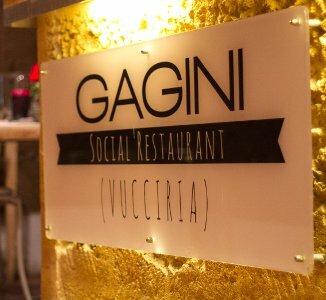 The food was extraordinary and the service delightful. We asked for a G&T but they didn’t have a bar. Ten minutes later G&T’s arrived! We think they went and got them from a bar down the road. We ate spaghetti with anchovies, wild fennel and raisins and linguine with sea prawns and chick peas, followed by tuna, and local fish wound up like a turban and stuffed with vegetables. For dessert we had cannoli and a to-die-for lemon semifreddo. Before all of this we had a house appetiser and after all of this we had the most delicate lemon granita – best I’ve ever had. I’d go back there for that alone. 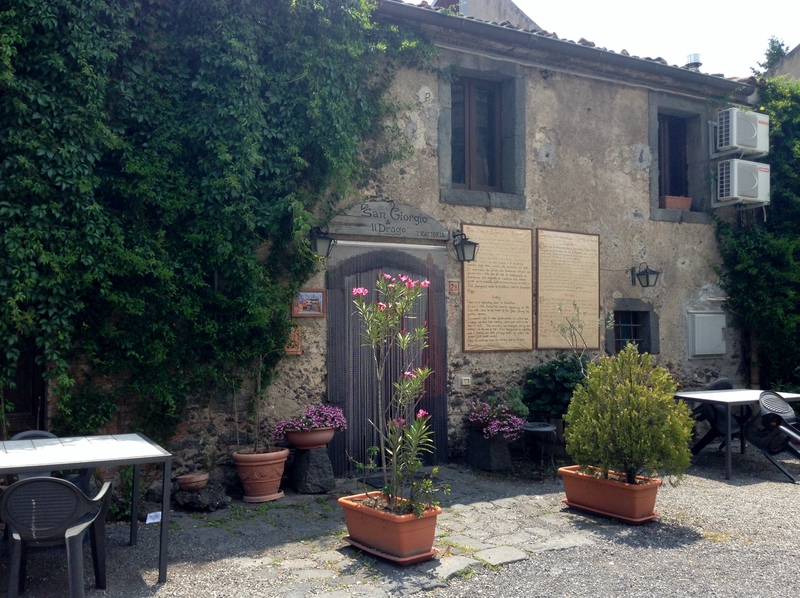 It’s definitely worth a trip to this village just for lunch! That’s the four cats. We didn’t eat any cats but they are famous for serving donkey! This is a very homey place on the edge of town (it’s a small town) with an outside deck and where the cooking is just like my Sicilian mother-in-law’s. One of the funny things about Italian men is that they defend their mother’s cooking to ridiculous lengths. Even if what you’re currently eating is way better than her version they will never admit it. 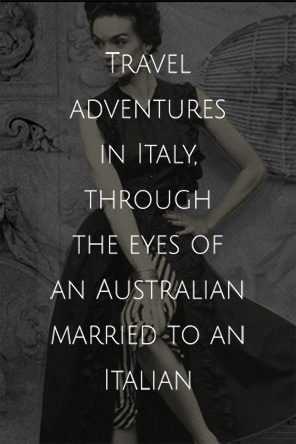 DO NOT GET BETWEEN AN ITALIAN MAN AND HIS MOTHER. It’s far safer to nod and agree or say nothing. 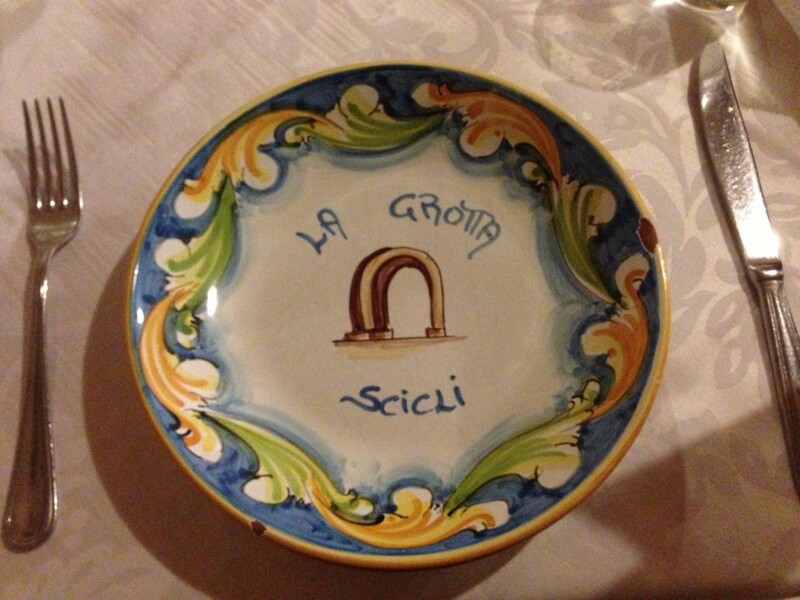 However here my Sicilian husband said some of the dishes were better! I nearly fell off my chair! We both had the 18 Euro menu and were overly optimistic in thinking we could eat it all. I was full after the house appetisers. But we struggled on, especially since everything was so delicious. I had a sardine, wild fennel and raisin tagliatelle, while Georgio had pasta with a donkey sauce. Next came pork which was so tender and delicious I had to keep eating it. We took our cannoli back to our B&B but sadly never got around to eating them. Everything was delciious and at 18 Euros per head, amazing value. 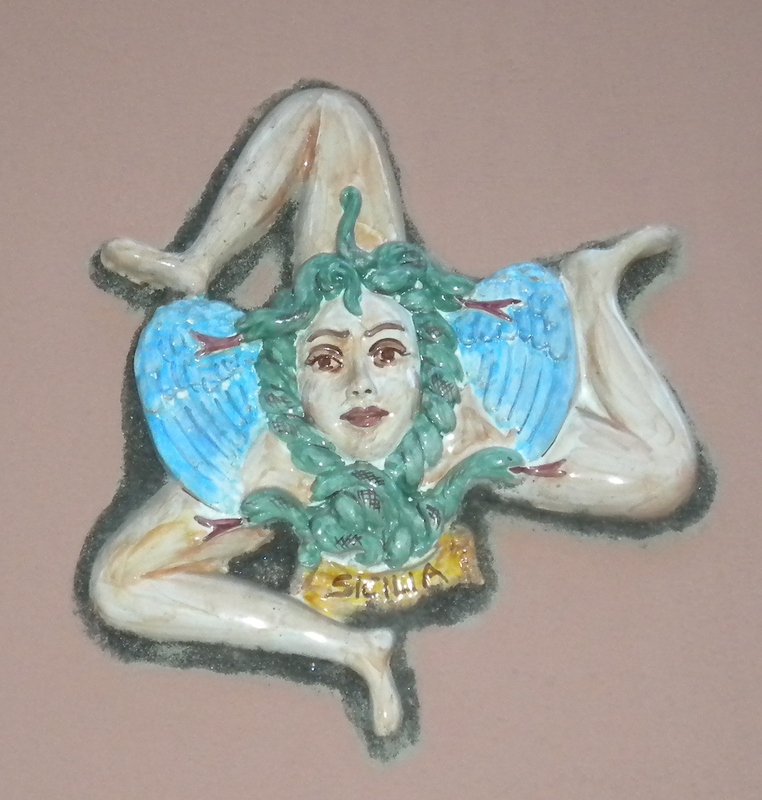 We came here primarily to see the ceramics (Sicilian ceramics are wonderful) as this is the most famous of the handful of towns that make them. 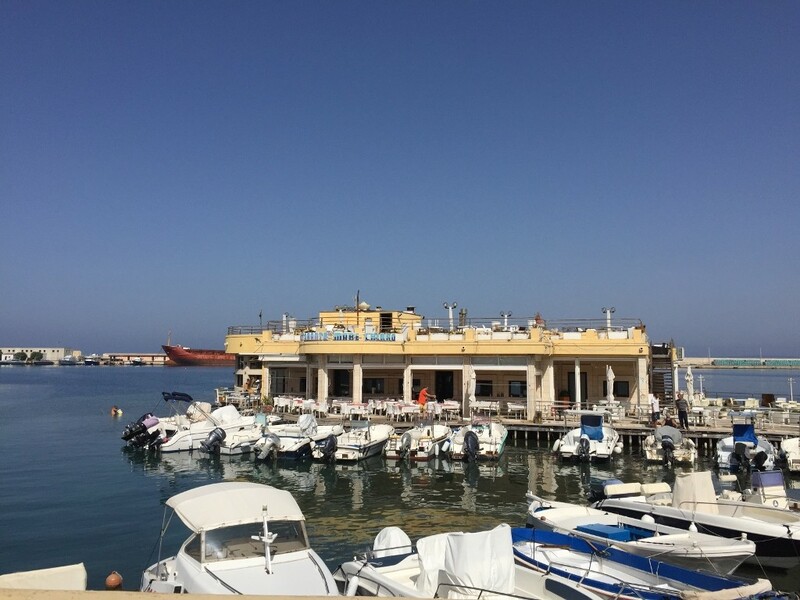 Unfortunately we arrived when the shops were closed (a constant peril in southern Italy, you have to time things very carefully) and so we decided to have lunch at this wonderful place instead. It’s a family run business. Dad is the chef, son is the waiter and another son mans the cash register. 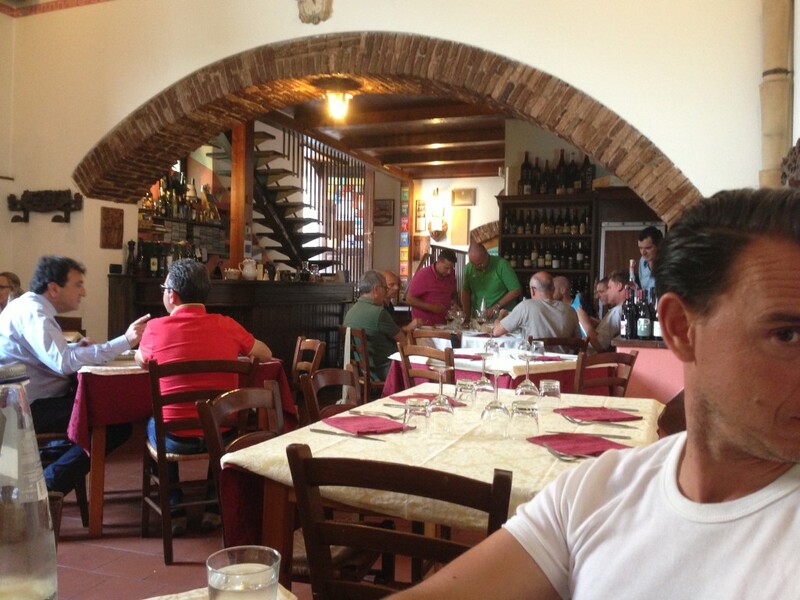 We followed Fabrizio’s recommendations and had the hot and cold antipasti to start. Everything was delicious, but we particularly loved the herring on orange, the cod with sweet and sour onion and the mussels. Next I had short pasta with a sauce of red snapper and almonds which was amazingly good and Georgio had spaghetti marinara, also good. Excellent value at 55 Euro. And it’s right around the corner from the famous stairs. What makes this place unique is it’s a cave, the merits of which cannot be overstated on a hot day. It’s been in use for 2,000 years (apparently) as a place where olive oil was made, and donkeys were used to crush the olives. Poor donkeys – if they’re not being eaten in delicious sauces they’re being put to work! Where we were sitting was where the animals were tethered at night and the rings used for this purpose are still there. We shared a mixed seafood antipasti plate which was delicious, then I had a very nice fish cous cous while Georgio picked the winning dish of gnocchi with mussels, cavolo nero (a type of cabbage) and a fish broth. This is another picturesque town and is well worth a wander around. 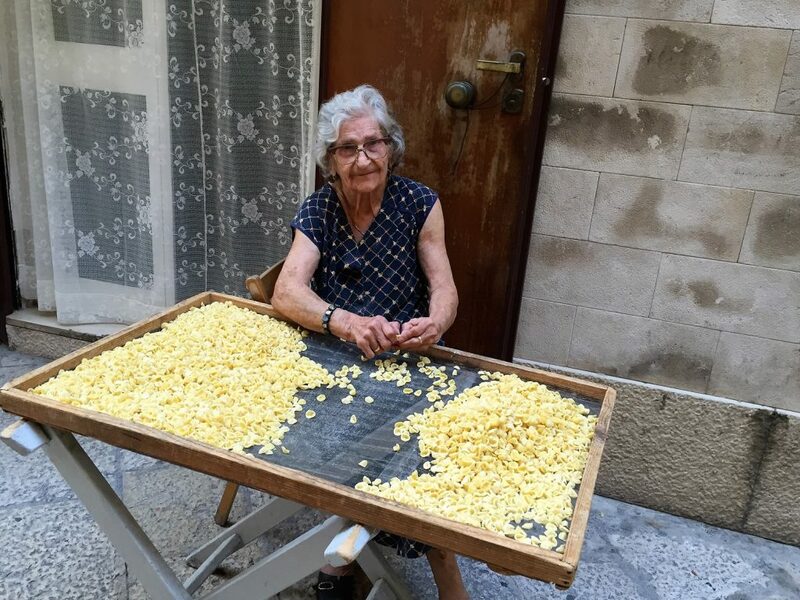 Georgio’s mother makes wonderful cannoli and we’ve never found any to rival hers, but I’d heard these were good – so off we went to find these famed cannoli makers in a little back street. I’m so glad we did! It’s a tiny little place and they fill the connoli to order so the shell doesn’t lose its crunchiness. 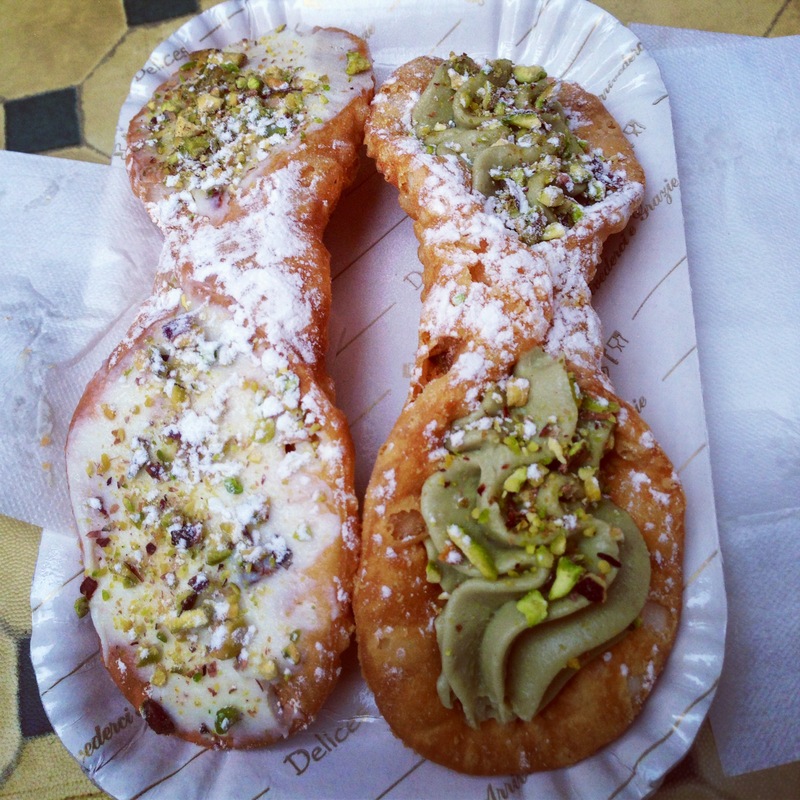 You can order one of two fillings – traditional ricotta or pistachio. We had one of each and both agreed the ricotta was the best – and wait for it – just as good as him mum’s! 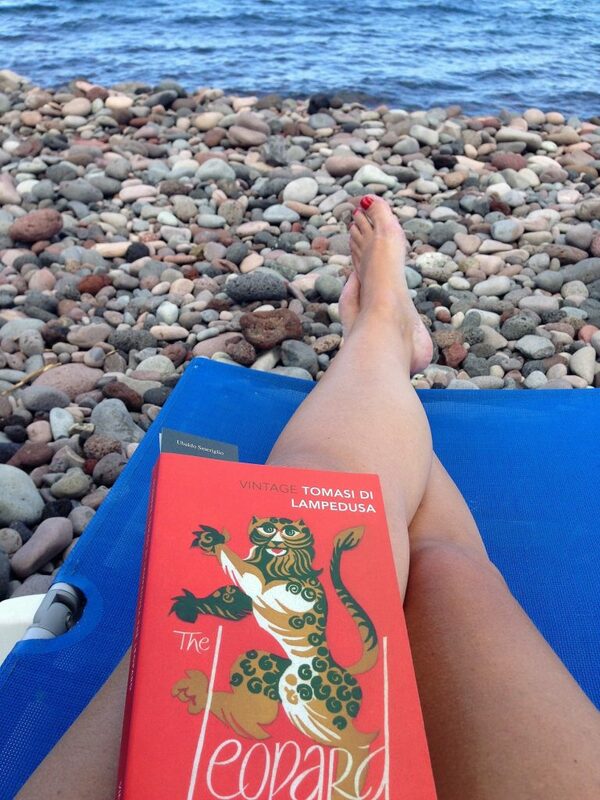 We loved these so much we caught the ferry over from Salina another day so we could have more. This is a cute little spot where the waiters serve everything to you at the table quite ceremoniously (but not formally) and we liked it so much we went there twice, the second night wading through torrential rain to get there. The stand-out dishes were pasta with fish, eggplant, tomato and mint; tuna in a sweet and sour orange sauce; stuffed sardines; pasta with white fish, tomato and zucchini; pasta with prawns, eggplant, tomato and pine nuts; steak stuffed with tomato and mozzarella; and a traditional Sicilian cake. This was a lucky find for us. We couldn’t find the place we’d heard was good, so I asked a shopkeeper about it and she told me it’s since closed down but recommended this place instead. The menu was only in Italian but the waitress and the chef both came out to explain it to us. Italians have very long conversations with waitstaff about menus so I don’t think they minded too much. Everything was local and home made. We had four different types of home made bread with D.O.P olive oil and ate ravioli filled with ricotta in a pistachio sauce (the highlight), short pasta with fresh fava beans in a cream and saffron sauce, rabbit, and Nebrodi black pig in a pistachio crust with purple cabbage. It was one of those long and leaisurely lunches I love to have on a day out. 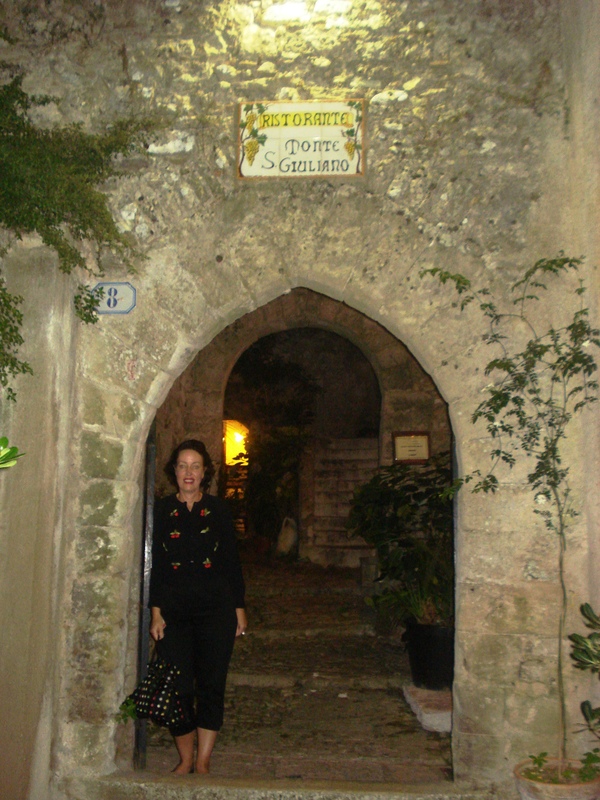 The town is another of south-eastern Sicily’s baroque gems and is lovely to wander around after your meal, plus there are some Greek ruins nearby. I’d never seen a bread warmer before! I cannot rave about this tour enough! We LOVED it! 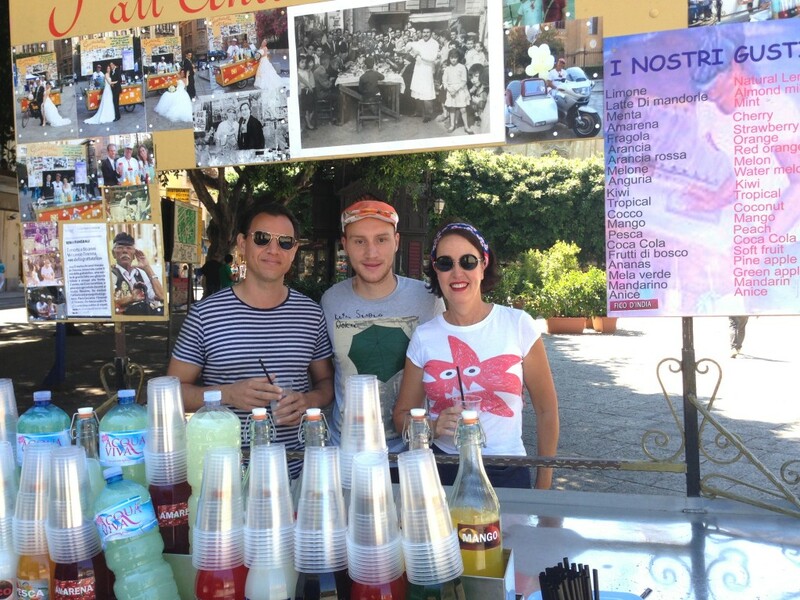 This is a fairly new business run by young people from Palermo who are passionate about their food and their history. Our guide was Salvatore, a lawyer during the week and our guide on this hot Saturday morning. 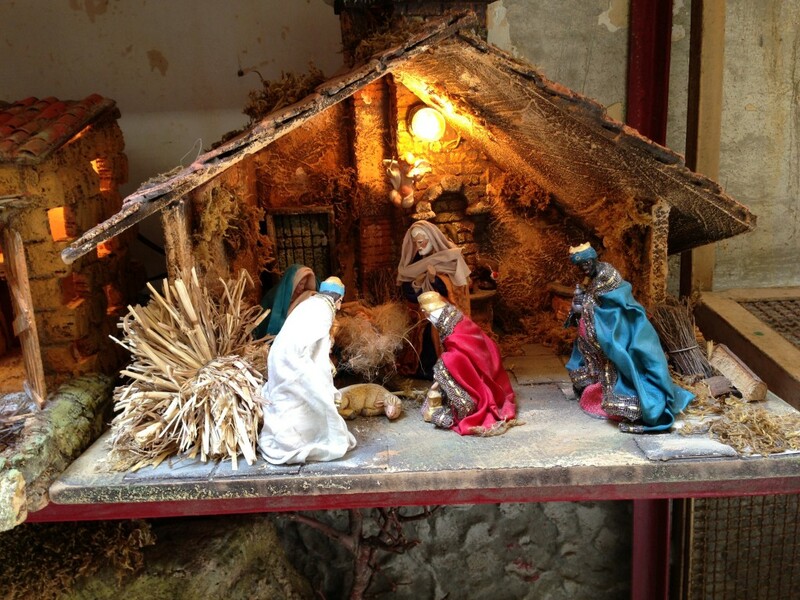 b) I learnt about the history and culture of Palermo at the same time, as the food is inextricably linked to it. These tours have to be booked in advance and are by donation (suggested donation is 20 Euros per person), and then you pay for whatever food you want to try along the way. We probably only spent 10-15 Euros between us, and we tried EVERYTHING! On the website it says tours go for 1-2 hours but ours went for 3.5 and if there’d been more I would have stayed longer. 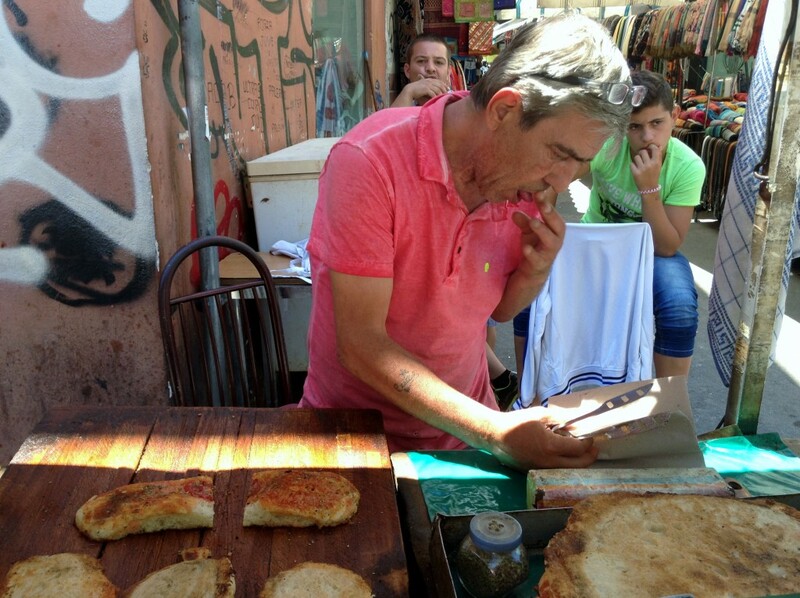 Palermo is known world-wide for its street food, and is the best place in Europe to try it. Along our tour we tried grattatela from a cart outside the Teatro Massimo (I’m not sure about the spelling of this or many of the other things we tried, they might be dialect) which is an extra-special type of granita – shaved ice with flavouring. We had the traditional lemon and almond milk which dates from Arab times more than 1000 years ago. Sounds weird but it’s incredibly refreshing. 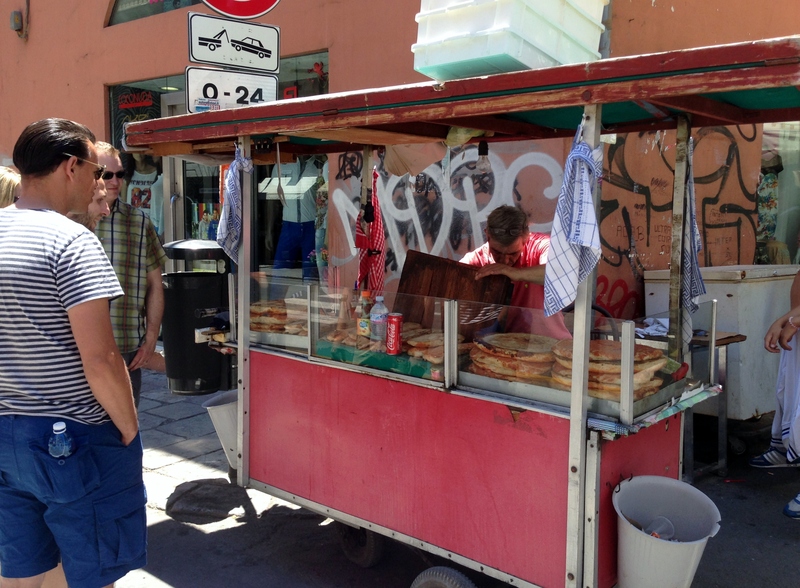 Then we headed into the Capo market where we tried fritta from a cart, originally sold by Jewish residents of Palermo, and consisting of boiled and fried meat scraps served in a paper cone with lots of lemon and pepper. Tasted better than it sounds. Then the best olives I’ve ever eaten in my entire life, fish balls in a sweet and sour sauce, and caponata. 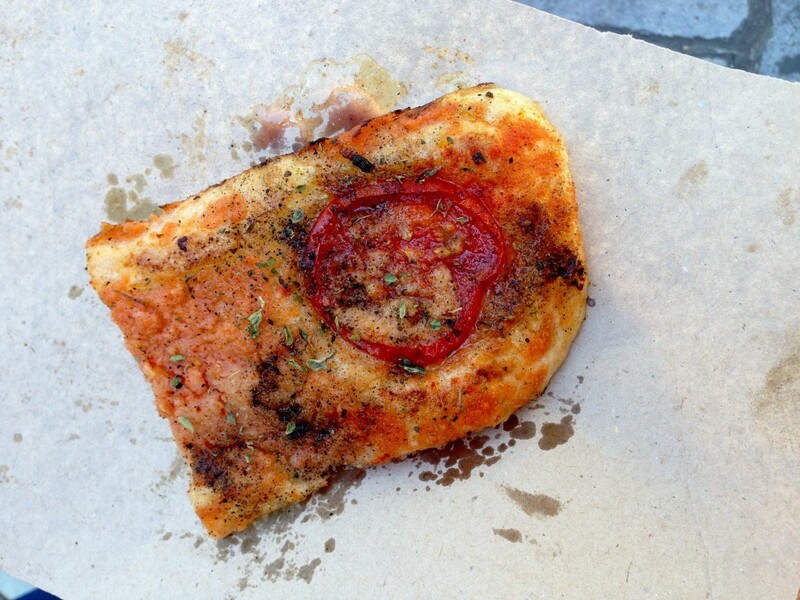 Outside the markets we stopped at another cart for sfincione, a Sicilian pizza that’s half way between bread and pizza. 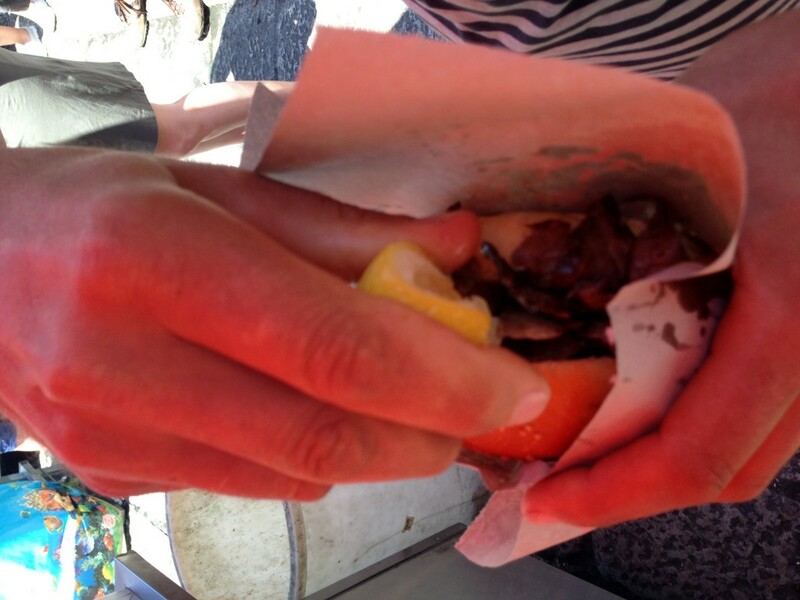 Next stop Vucciria market for a spleen sandwich, again with lemon and pepper, and again tasting better than it sounds. 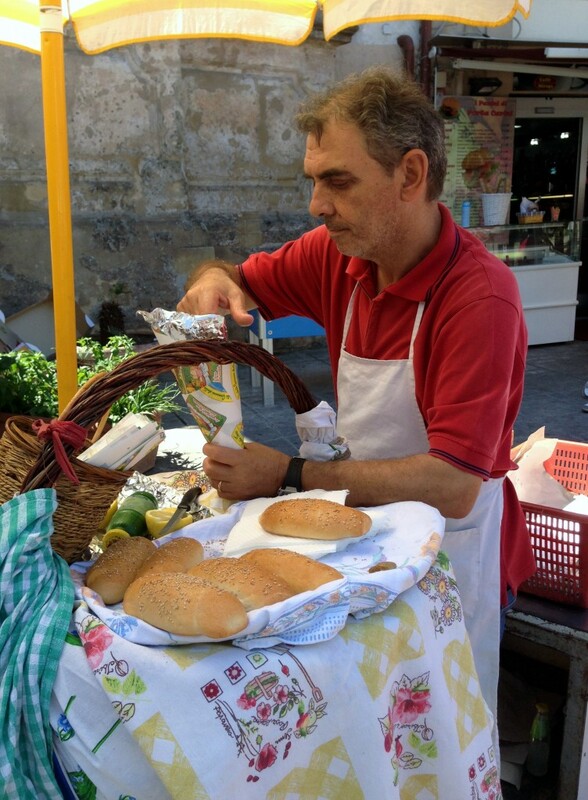 Then to a shop near Piazza S. Domenica for the city’s best aranchini. Then to a hole in the wall place for panella (chickpea fritters) and croquettes and then we finished up at the best gelateria in the city where I had to-die-for gelato – watermelon and pistachio. Divine! We’ve been here several times and it never disappoints. 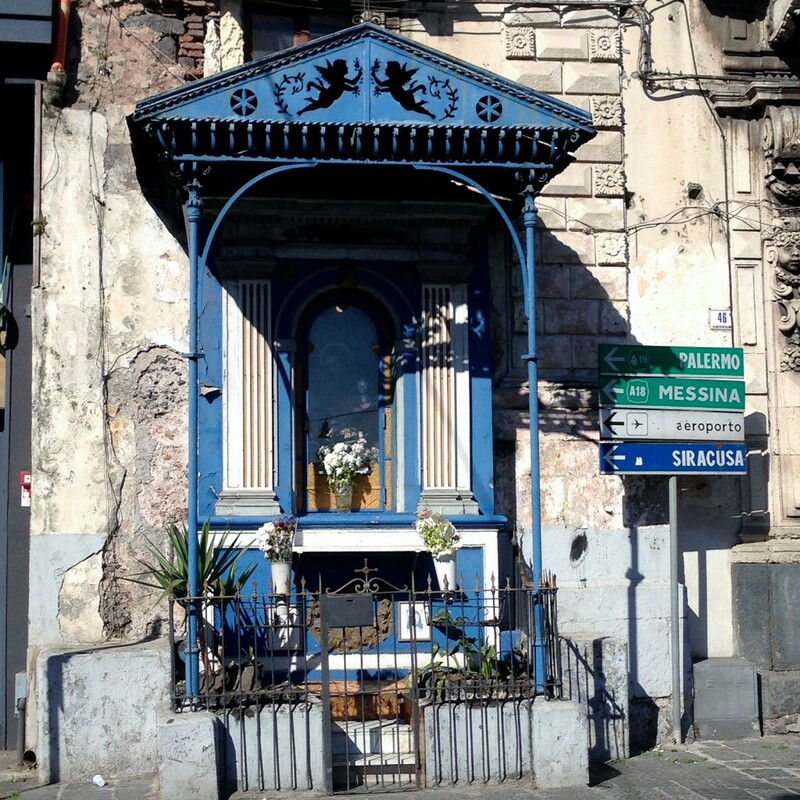 It’s very close to the Vucciria market and doesn’t look anything special. It’s all plastic tablecloths, plastic cups, fake flowers, TV in the corner, and bread from a sack at the back of the room (and if you don’t eat it, it goes back in the sack). But it’s just like eating at your Sicilian family’s house, complete with nonna screaming at passers by from a table out the front. I think she’s Pina as I’ve seen her emerge from the kitchen more than once. She screams in dialect, so Georgio translates as we eat. It’s the kind of place tradies go for lunch – they disappear into the kitchen to get their pasta though, and take the plate back there when they’ve finished. Pick a table then help yourself to the very large antipasti table filled with two dozen different dishes for 5 Euro a plate. You can go back for more, but they do keep an eye on you. 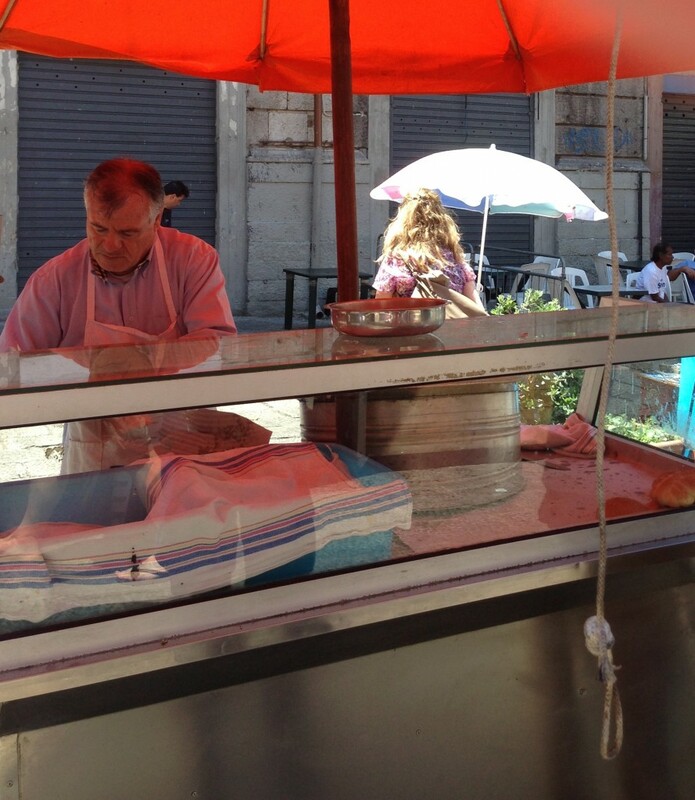 Then one of two older men (it seems like a family business) will ask you, in Italian, what you’d like next and make a few suggestions or take you to the seafood fridge at the back where you can see what they have that day (there’s no menu). 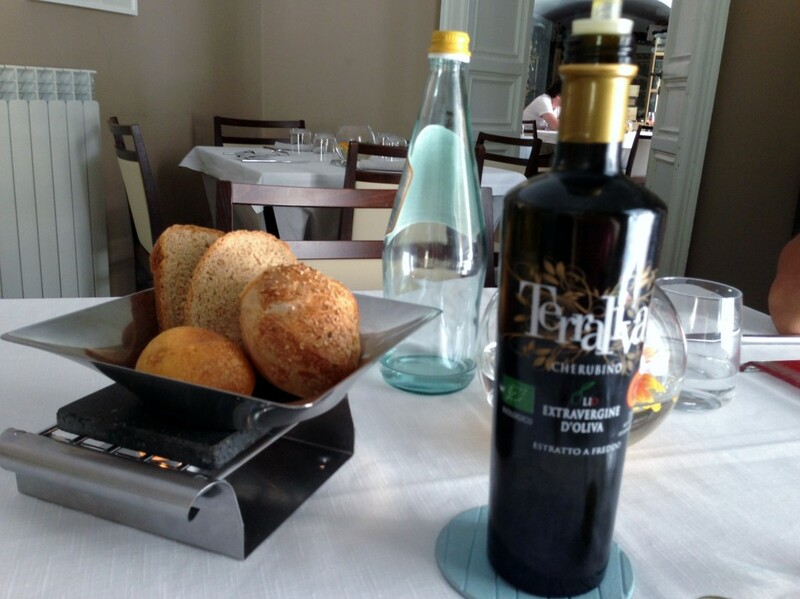 It’s not the best food I’ve had in Palermo but it’s very good and perfect for lunch. The funniest bit about the whole experience is that when you’ve finished the waiter just decides what you have to pay, no bill, no receipt (which is illegal in Italy) and it’s almost always 30 Euro for the two of us, no matter what we eat! 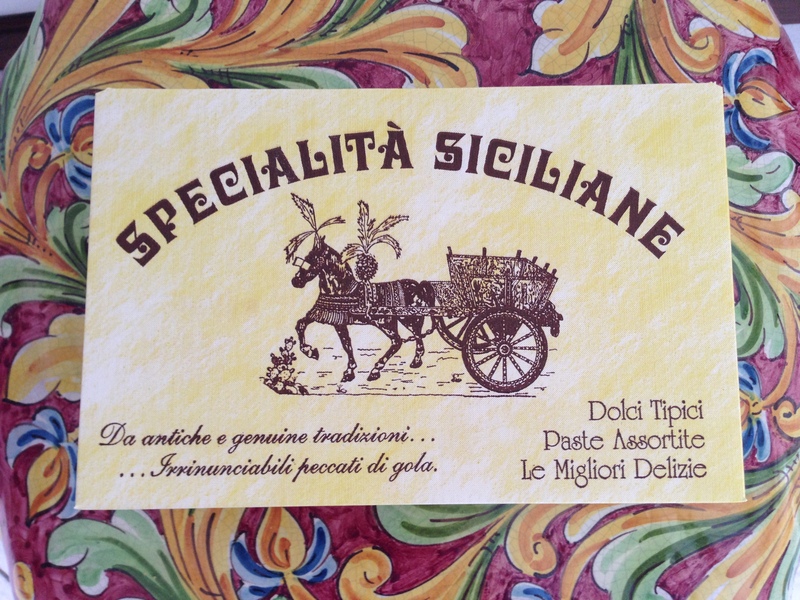 I found out about this place in a cookbook I own called Springtime in Sicily. It’s in the new part of town so was a bit of a hike from where we were staying at the centro storico (historic centre), and the journey took us past some pretty grubby and gruesome looking areas. I don’t scare easily but I didn’t enjoy the walk, so if you go, catch a taxi. This is a place you need to book on a weekend evening as by 8.30pm it’s full of local families. Again it’s nothing special to look at but the food was wonderful. I had bucatini with broccoli (amazing) and Georgio had bucatini with sardines, also excellent. We weren’t very hungry so after that we just shared a fritto misto (fried fish and calamari) which was great. We’ve been here twice now and raved about it both times. It’s on the expensive side (130 Euro for two) but absolutely worth it for a special occasion such as my birthday! Everything is perfect: the interior, the service, and the food. It’s more modern than the other places I’ve talked about here but still has its roots in Sicilian cooking. This time we had smoked cod salad with fennel and orange, fried calamari and mussels with honey (a stand-out dish), pasta with ragu (another stand-out), pasta with duck, fish in a bag, fish in potato and chocolate mousse. They also serve an amuse bouche and a pre-dessert. It’s faultless and the chef comes around later on to chat to everyone. We have booked both times we’ve been there, and I would recommend it if you want to sit on the outdoor terrace. Our favourite table is inside, in front of the open window. 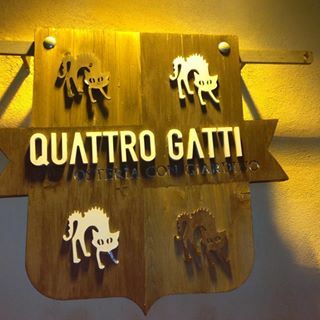 Georgio’s relatives took us here on our first trip to Palermo. It’s not the type of place I’d stop at being right on a busy road and looking like a crab shack. 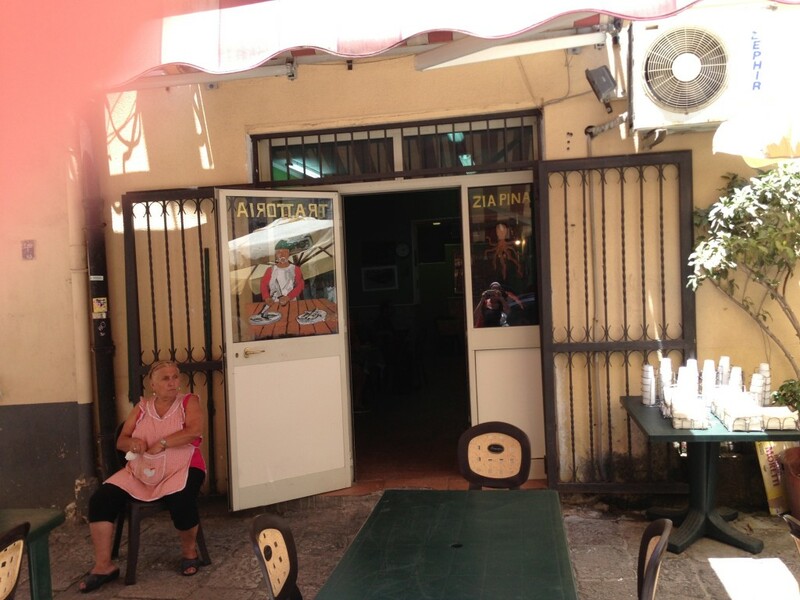 Typically (and very strangely) for Palermo it fronts on to the sea and although there’s an open air courtyard, there’s no view because they’ve built a wall to keep you from seeing it … However despite these setbacks the food is incredible. The owner, on hearing we were visiting from Australia, brought us a delicious selection including: raw marinated anchovies, prawns and octopus; steamed mussels, teensy tiny whole fried calamari, sea urchin (a first for me), boiled sea snails, lobster spaghetti and the the best seafood risotto I’ve ever had. Sit at one of the small tables outside and watch the world go by while the chatty barman makes you an excellent cocktail. 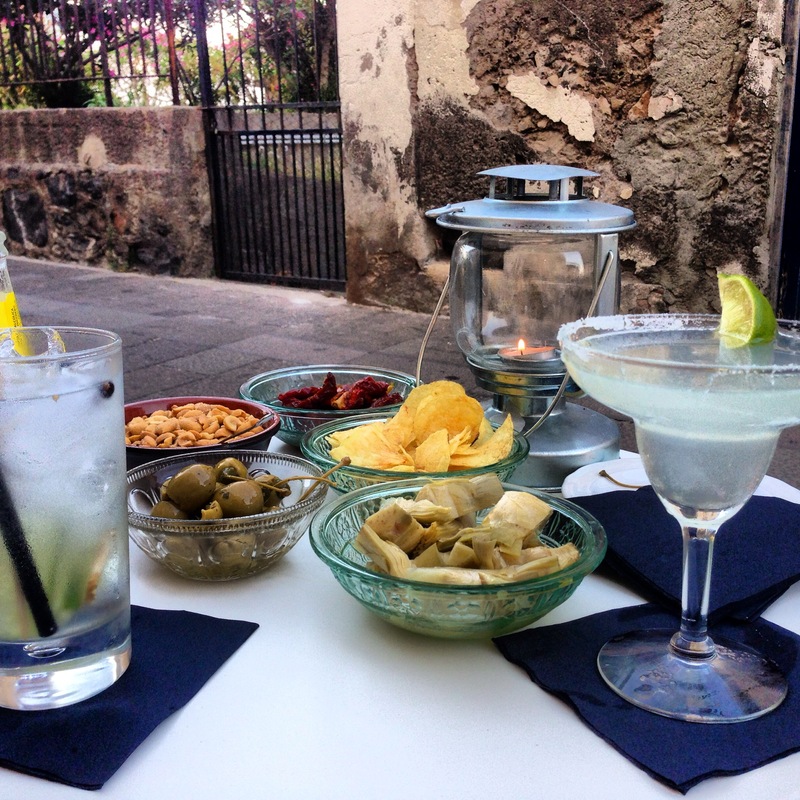 He claims to make the best G&Ts on the island, and I think he’s right – he adds whole pepper, cucumber and ginger – and brings you delicious snacks – think local cheese, olives stuffed with caperberries and locally made salami. In Italy they always bring you free snacks with your drinks. Bargain! As long as you sit there the snacks keep coming. Some days when we’d had a big lunch this is all we’d have for dinner. 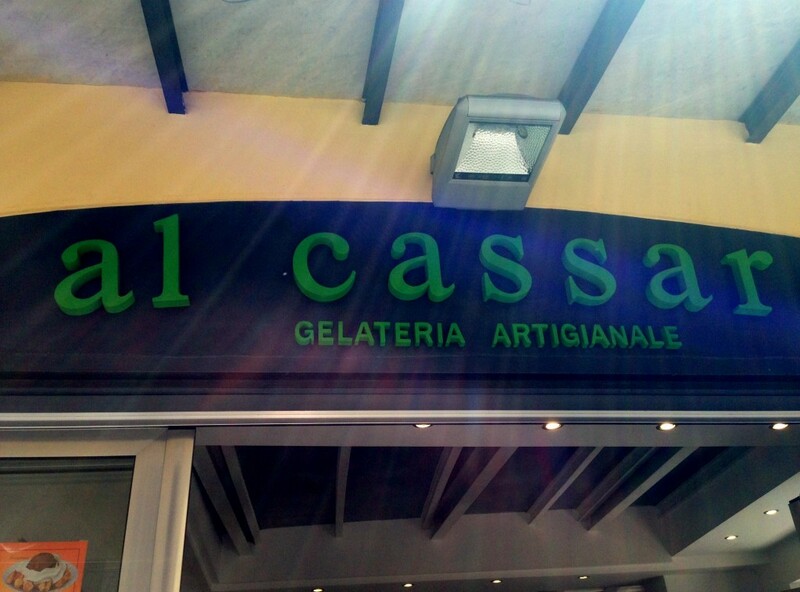 This gelateria is famous for being Sicily’s best, and a place I’ve seen on TV several times. It didn’t disappoint. We tried pistachio, yogurt, chocolate-orange, and almond. Pistachio and the choc-orange were the stand-outs for us. It’s perfectly fine to ask for a taste before you choose your flavours. This place was recommended to us by a local woman who ran the villa we were renting. It’s full of tourists and you have to book to get one of the prized tables on the terrace that sits out over the sea, but the setting is just beautiful and the food is lovely. I don’t remember what we ate, but in my journal I noted that the G&Ts were very strong! It is so funny that you talk about good tomatoes in Italy because I tell everyone that the last great tomato I tasted was in Australia! I actually tend to eat less on vacation. Then again, I’ve never been to Italy; based on your descriptions, I’m not sure I would do anything else should I go there one day! Mmmmmmmm!!! Well I think you might eat more in Italy! The tomatoes there really are something!